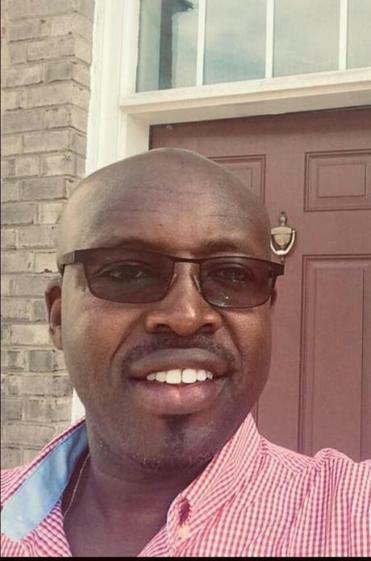 Jean Leonard Teganya was smart and studious, an avid churchgoer who sang in the choir, witnesses said. He was Hutu, but he never expressed any hatred toward Tutsis, the country’s ethnic minority, either as a student at a Catholic seminary in Rwanda or as a medical student at the university hospital in Butare, the second-largest city in the country. “In college, he was among the best students — very good,” testified Jean Francois Habimana, who was a medical student alongside Teganya in the early 1990s, before the 1994 genocide. “He was properly dressed all the time and he would observe a very proper conduct,” Habimana told the jury Monday in US District Court in Boston, where Teganya is on trial for allegedly concealing his role in the genocide of 800,000 Tutsis to win asylum in the United States. After two weeks of harrowing testimony from prosecution witnesses who implicated Teganya in sexual assaults, beatings, and killings at the hospital, his defense is seeking to portray him in an entirely different light: as a man who was devoted to his studies and seemingly uninterested in the Hutu political parties that called for violence against the Tutsis. “I never heard him say or display any discriminatory behavior against the Tutsis,” testified Ignace Rukeribuga, a biologist who attended the same high school as Teganya, a Catholic seminary known for its strict code of conduct. Teganya never wore the colors of the National Republican Movement for Democracy and Development, the party behind the genocide, he said. Teganya fled Rwanda in the aftermath of the 100-day genocide and ended up in Canada, where he met his wife, had two sons, and lived for 15 years before crossing the border into Maine in 2014. Teganya is charged with five counts of fraud and perjury for allegedly lying on his asylum application and at an immigration hearing. If convicted, he faces a maximum sentence of five years. He told US officials that he was seeking asylum because his father, a leader of the political party responsible for the atrocities, had been imprisoned and he feared persecution if he returned. Teganya is not on trial for his alleged acts in Rwanda, but prosecutors have called witnesses who said he led militia and soldiers through the hospital, pointing out people to be killed or raped. Witnesses who knew Teganya at the time testified that he wore the colors of the Hutu political party and railed against Tutsis. During cross-examination of Teganya’s former schoolmates, prosecutors noted that many of them were not in Butare during the genocide and could not have known whether Teganya participated in any attacks on Tutsis. They also sought to undermine the witnesses’ credibility by suggesting their testimony could be influenced by a sense of loyalty to Teganya. “You don’t want to see Mr. Teganya convicted, do you?” Assistant US Attorney Scott Garland asked Rukeribuga, who spoke through a French translator. “My intention is to tell the whole truth, the whole truth about this situation,” Rukeribuga replied. Garland asked him again — yes or no, do you want to see Teganya go to prison? “If that’s the case, given the truth, yes,” Rukeribuga replied. Another witness, a Tutsi woman who said she came to the hospital in 1994 to escape the genocide, said she hid in the pediatrics ward during the attacks. Unlike other prosecution witnesses, she said she did not see any doctors leading soldiers or militia through the hospital, searching for Tutsis. “Doctors were coming inside the ward to treat the children inside,” she testified. Assistant US Attorney George P. Varghese pounced on her testimony, noting she listed Burundi on her passport as her place of birth, not Rwanda. “That passport is a lie, isn’t it?” Varghese asked. “This is a lie,” she said. She later said she could not read or write well and someone helped her fill out the paperwork.